I've only been married for a year and already I'm telling my husband big fat porkies! I promised him I wasn't going to be a crazy blogger during our special wedding anniversary stay at the South Causey Inn, but I just couldn't resist sharing our experience with you. Therefore, please forgive the fact that these photographs aren't anything amazing. All pictures were taken on my iPhone as I frantically snapped away every time Simon's back was turned! Before you all feel sorry for poor old Simon, joking aside, he was more than happy for me to share our trip on the blog - I was just under very strict instructions not to photograph the room from every angle and not to let his food go cold. So here we go, unedited and as real as it gets! 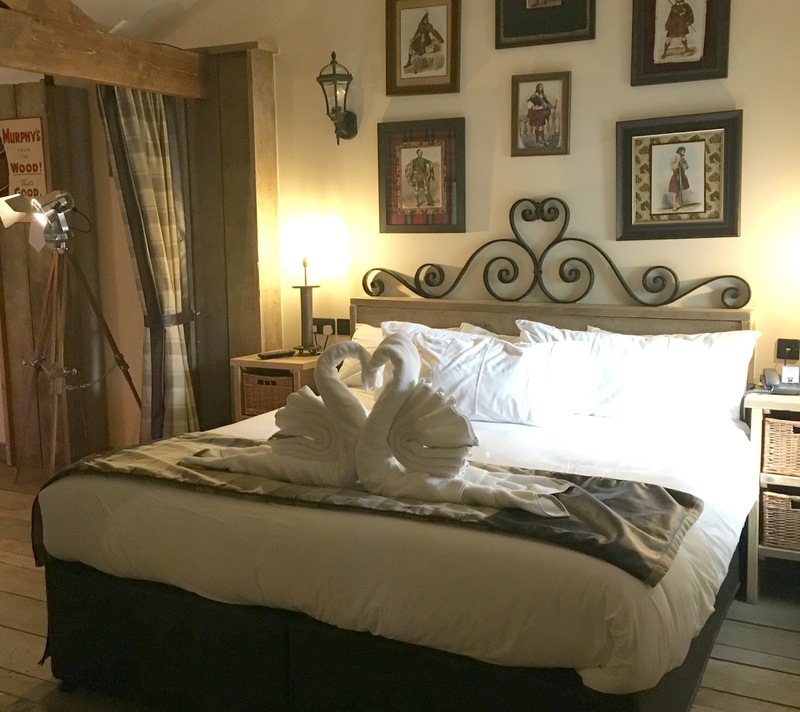 Our wedding anniversary stay at the South Causey Inn in County Durham! 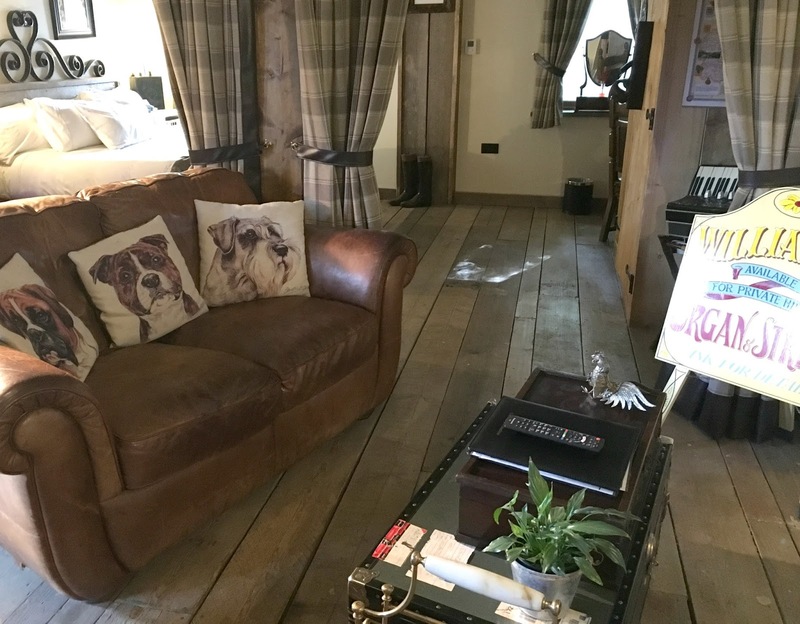 During our luxury minimoon in the Lake District we came to the decision that we wanted to make an effort to properly celebrate each wedding anniversary with an indulgent night away somewhere fancy. 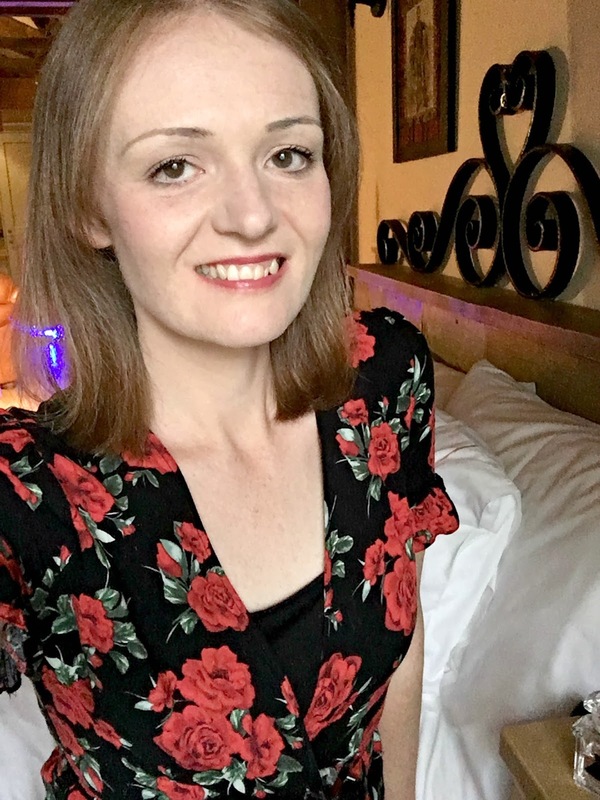 So when it came to planning our first anniversary I worked my way through our entire North East hotel lust list trying to decide where to spend the night before deciding on the South Causey Inn. The South Causey Inn is the perfect destination for a romantic break with their collection of unique feature rooms with private hot tubs. Although I'd had my heart set on staying on the bus (check it out here - it looks amazing!) 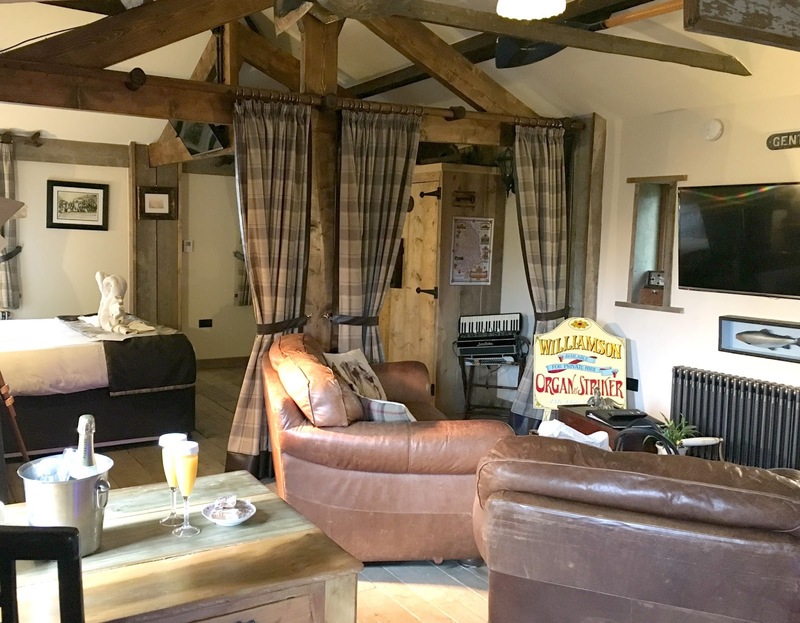 it was unfortunately already booked so we decided to book into The Old Stable instead, a cute cottage style room with old equine memorabilia, huge leather sofas and, of course, the all important private hot tub! When we arrived at the South Causey we were a little worried about finding a parking space as the car park looked pretty rammed. With two weddings happening and hoards of people enjoying Sunday lunches, they were having a very busy Sunday afternoon! We needn't have panicked though as all of the special feature rooms come with their own designated car parking space. We were over the moon when we spotted a little roped off parking space with a "McGuirk" board right outside The Old Stable. We felt very special (and a little smug) as we pulled into our space. Check in was super fast, efficient and friendly. The lovely receptionist personally showed us to The Old Stable and gave us full instructions on how to use the hot tub and, despite being happy with our welcome, he appeared again a short while later to apologise for how busy he'd been before and to check that we were OK. We were also surprised to be given vouchers for a complimentary Causey Cocktail and a £9.95 dinner voucher each as part of the South Causey's Sunday Night Special Offer. We had no idea about the offer when we booked so it was so kind that the South Causey went out of their way to bring us vouchers, something they really didn't need to do. 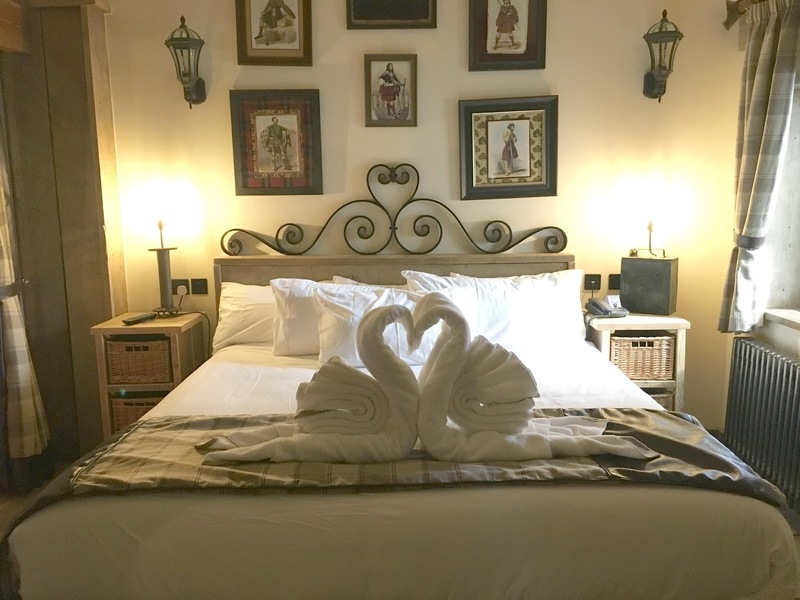 The outstanding service made us realise that we really had picked the perfect spot for our special stay. As we were celebrating we'd brought a bottle of champagne from home with us (one of the many bottles we've stashed from the wedding) and were really happy to find an ice bucket ready and waiting for us along with some champagne flutes. I'm not sure if this is standard for the room or if they were just being extra kind to us as it was our anniversary but it was a touch that made us feel very special. A few moments later and we were surprised by a knock on the door and a selection of canapés. 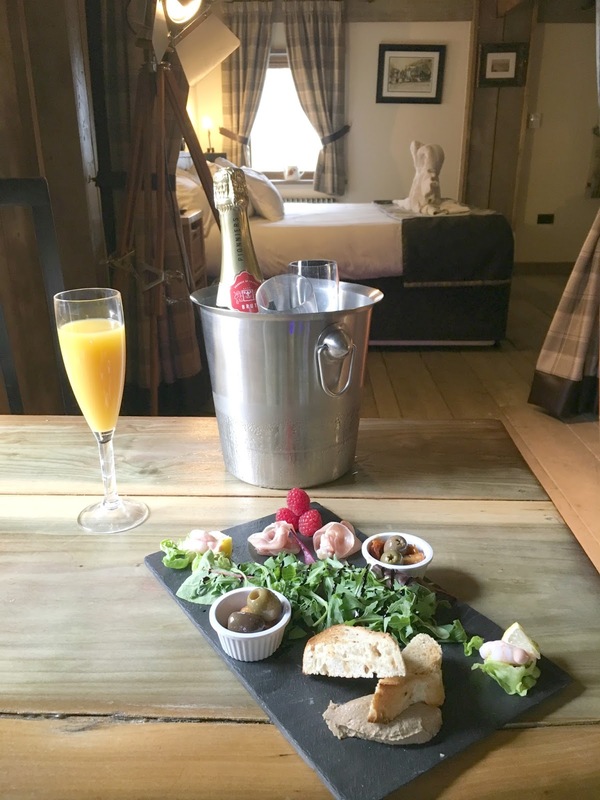 Despite there being no mention of this when we booked our room, the South Causey love to surprise their guests staying in the special feature rooms with a few complimentary treats. 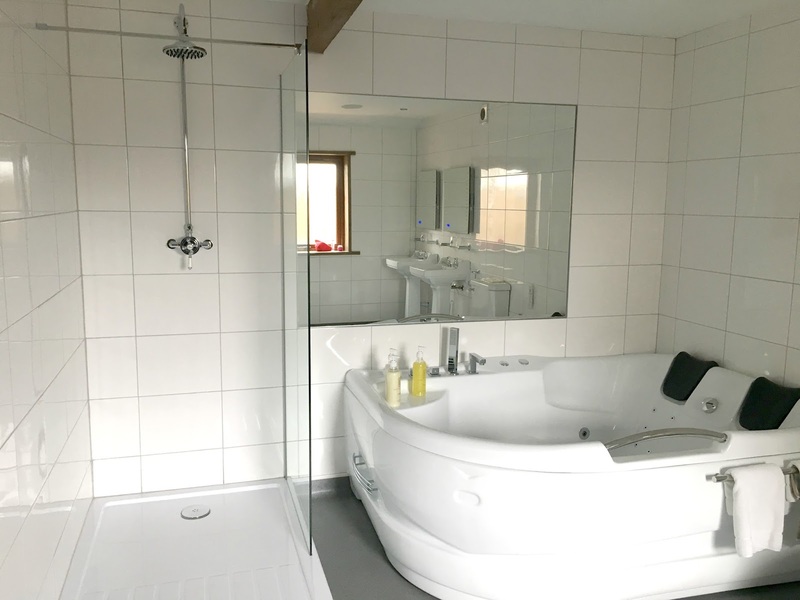 My favourite part of The Old Stable was definitely the bathroom which had a double basin, a huge shower and a double jacuzzi bath (that I'm completely gutted we didn't have time to use!). With plenty of mammoth towels, a snuggly dressing gown each and complimentary slippers it would have been possible to spend hours just in the bathroom! The reason we didn't have the time to enjoy that gorgeous bath? We spent our entire afternoon enjoying our very own private hot tub. We literally lost hours in there! 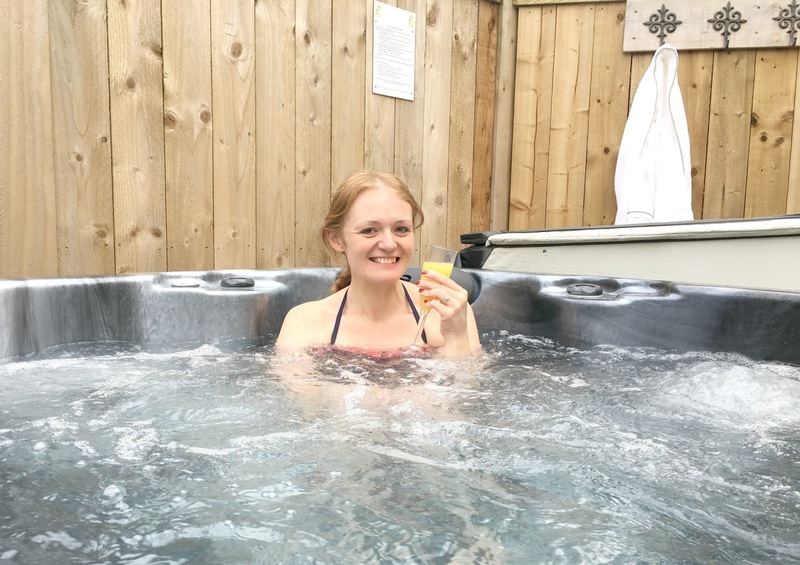 We were blessed with perfect hot tub conditions, the slight chill in the air made the water feel extra warm and cosy and we toasted our first year of marriage with glasses of Bucks Fizz and endless chats about our future plans. 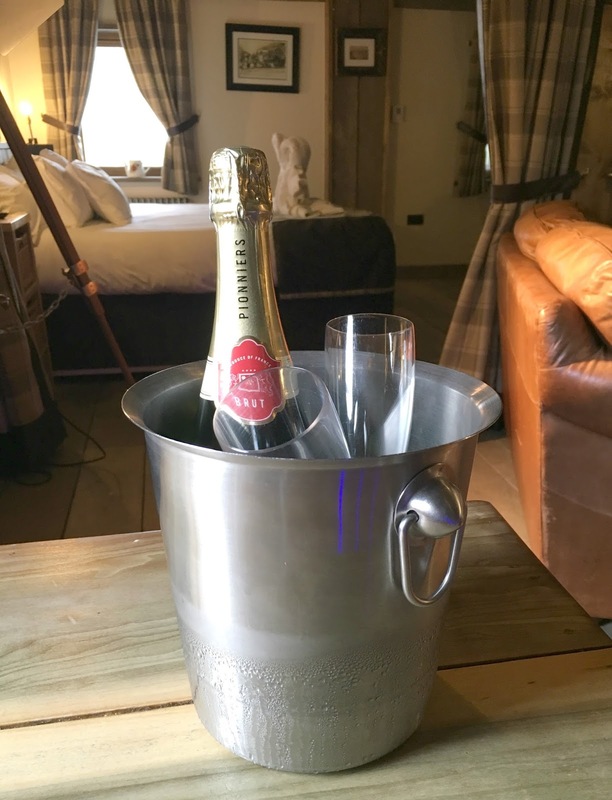 Just as we began to worry that we'd drained our bottle of champagne we had another surprise guest, this time carrying two glasses of fizz and a little box of chocolates! We were being completely spoilt and both agreed that actually wedding anniversaries are even nicer than your wedding day! I could have spent all evening in that hot tub swimming about (I say swimming, as a non-swimmer I was splashing about in Simon's arms declaring "look, I can swim", much to his amusement!) but we had to climb out and get showered ready for our evening meal. Of course, celebrating a special anniversary gives you the perfect excuse to take that extra bit of time making yourself look extra fancy so we took our time getting ready before making our way to the main building for some food. The South Causey Inn have a smaller menu on a Sunday Evening, something I definitely wasn't complaining about as their usual offering is more like a book than a menu and I'm not the best at making decisions! There were still plenty of dishes to choose from with all of the favourites making an appearance. 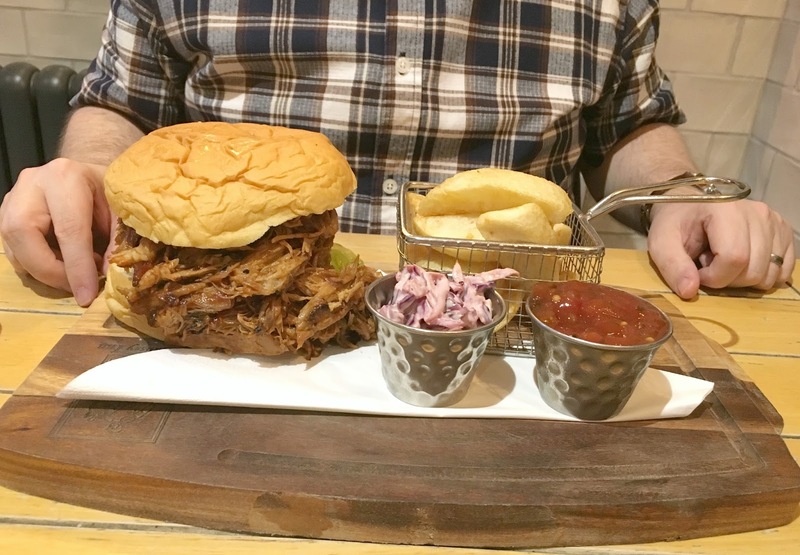 As a huge pulled pork fan Simon was a little disappointed that the Pulled Pork Burger that is usually in the menu wasn't there but the waiter checked with the kitchen and Simon's night was made when he was told that they'd be able to do the burger for him. He was over the moon when his dish turned up and the burger was packed full of pulled pork and was one of the largest burgers either of us had ever seen. I decided to order the Vegetable Lasagne with very thickly cut chunky chips. 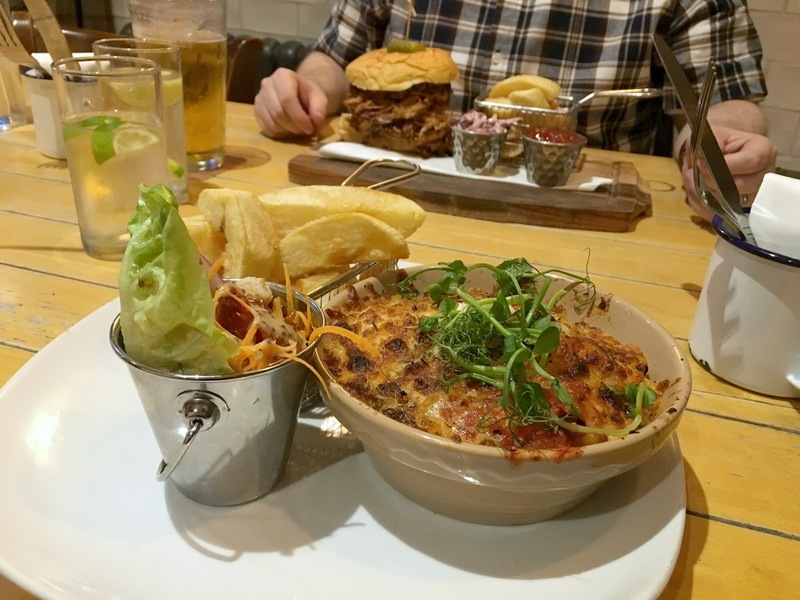 I always forget how huge the portions are at the South Causey Inn, they certainly aren't shy with their servings and having dinner there is the ultimate treat for foodies like us. 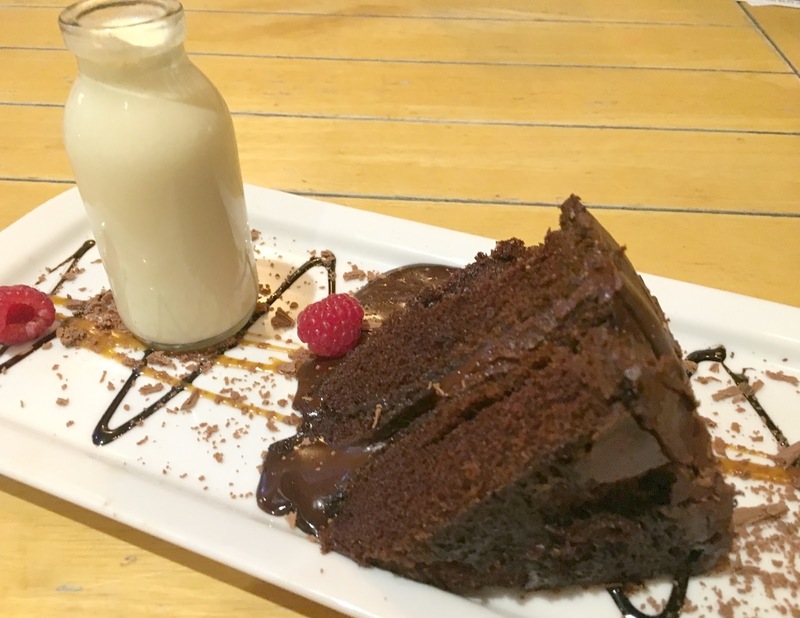 By the time I'd cleared my plate I was completely stuffed, so full I could barely move but I couldn't help but order a dessert and so asked for a piece of Chocolate Fudge Cake with cream. Probably not the most sensible decision I've ever made as it was mammoth but it was just so damn good I really can't regret it. Our lazy afternoon in the hot tub combined with an epic amount of food had finished us off and we practically crawled back to The Old Stable and were snuggled up in our huge bed watching the X Factor by 8:30 pm! We had a lovely night's sleep in our huge comfy bed (I always appreciate a bed that's so big I lose Simon in it!) and it was a real struggle to get up in the morning, we had a very slow start but just about managed to get ourselves down to breakfast before check out. Breakfast at the South Causey is included in the room rate and, just like their evening meals, offers mammoth portions to set you up for the day. We helped ourselves to endless cups of coffee and orange juice and tucked into toast with butter and jam along with pastries from the continental table whilst we waited for our cooked breakfasts to arrive. 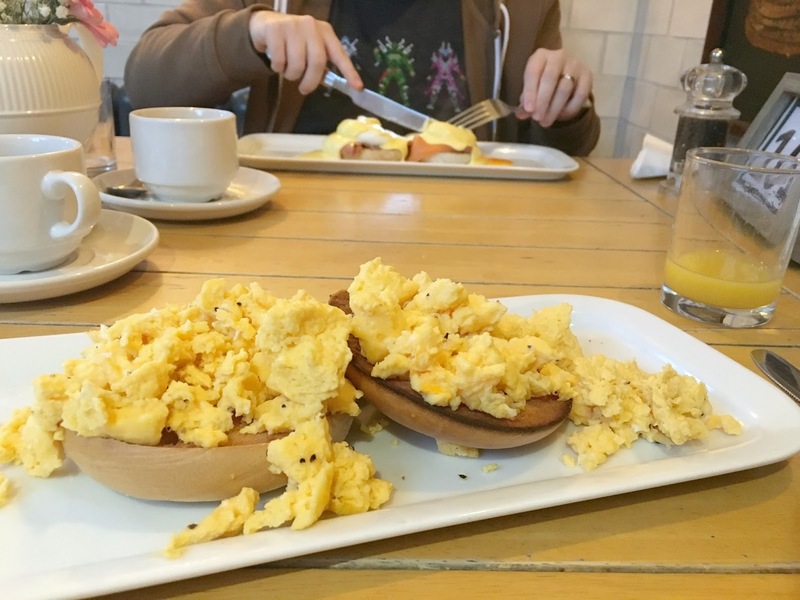 As much as I wanted to indulge in a Full English I was still feeling slightly full from the night before so decided on Scrambled Egg on a Bagel instead. I love that I thought that would be a more manageable dish, I'd forgotten about the Causey portion sizes and before I knew it a huge pile of scrambled eggs was in front of me - yum! 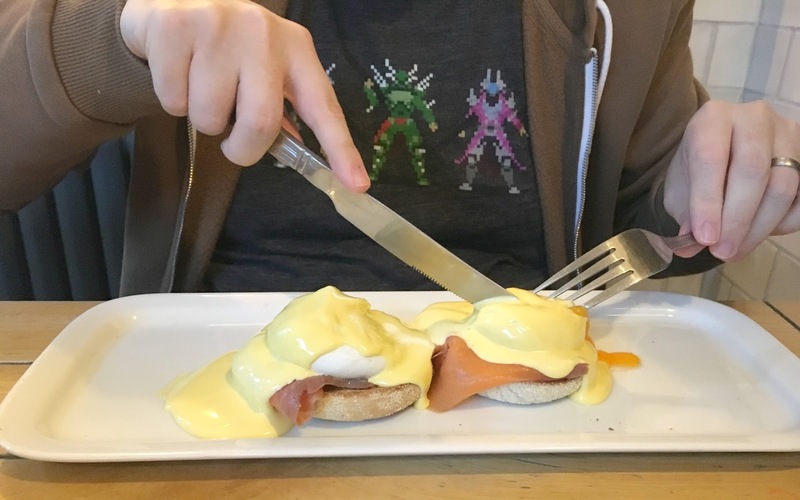 Simon chose his usual breakfast favourite, Eggs Royale, where he had so much Hollandaise Sauce he probably could have swam in it. If you can't indulge for your wedding anniversary then when can you? All thoughts of sensible eating and diets went out of the window and we enthusiastically tucked in, almost managing to completely clear our plates. Our time at the South Causey Inn was over in a flash and I couldn't believe that we hadn't had any time at all to walk the grounds or visit the animals. I guess time flies when you're enjoying yourself! We loved every moment of our stay at the South Causey Inn and honestly can't thank them enough for giving us such a memorable anniversary. They have set the bar so high I don't know how we'll ever top it next year! If you are celebrating a special occasion or fancy surprising your other half with a romantic overnight stay I highly recommend a stay at the South Causey. A Special Feature Room with a private hot tub are available from £271.00 a night and are worth every penny! For more hotel reviews and romantic date ideas in the North East follow New Girl in Toon on Facebook and Instagram. Happy anniversary-we are so bad at celebrating things like this-the day just goes by!! i'd love a trip to a hotel next year-Mr hoops needs to get on the case!